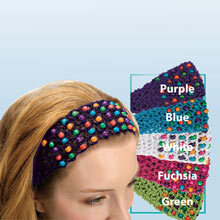 These Colourful Crocheted Beaded Headbands, in vibrant shades, to go with every outfit! 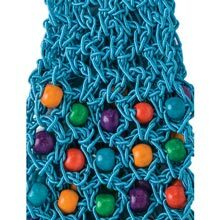 The richly textured, crocheted pattern is dotted with colourful wooden beads. 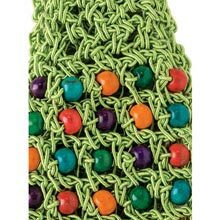 Stretchy, pull on style in polyester. Imported. 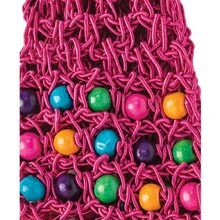 2½"w. One size fits most. My 5yr old insists on wearing headbands and loves rainbows. The headband itself works wonderful the only downfall is the color from the beads stains the hairline if it gets wet or sweat on.